Who knew we had so much junk DNA. University of Houston evolutionary biologist Dan Graur has published new calculations showing that a maximum of one-quarter of the human genome is functional. These findings contrast with the notion promulgated by Encyclopedia of DNA Elements (ENCODE) scientists that 80 percent or more of the sequence is functional. Graur’s work estimates that the human genome’s functional portion is more likely between 10 and 15 percent, with 25 percent representing the upper limit. The remainder of the genome is essentially “junk DNA”, harmless but also useless and not encoding for anything. Graur determined how much of the genome is functional simply by using the replacement fertility rate and the deleterious mutation rate – the rate of occurrence of harmful mutations. 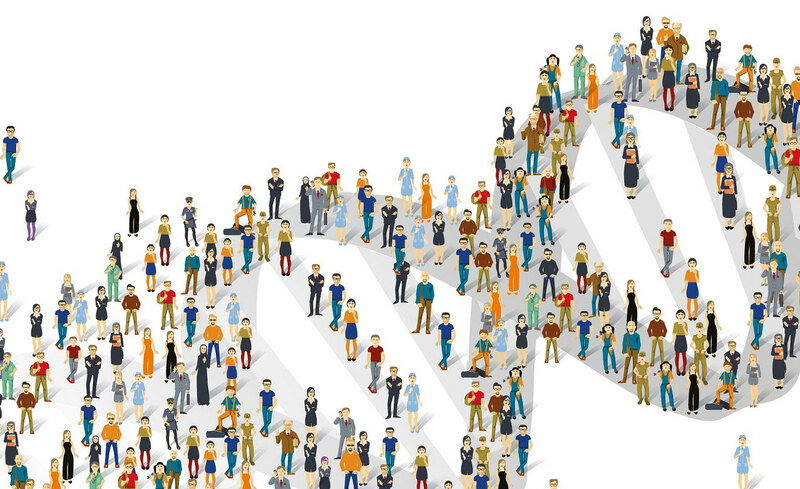 The deleterious mutation rate and the size of the genome are already known, and data on human population levels is accessible through historical records. From there, Graur simply needed to create a model for calculating the “mutational load,” the drop in reproductive success caused by harmful mutations relative to the functional portion of the genome. For 80 percent of the human genome to be functional, each couple in the world would have to beget on average 15 children and all but two would have to die or fail to reproduce…If we use the upper bound for the deleterious mutation rate (2 × 10−8 mutations per nucleotide per generation), then … the number of children that each couple would have to have to maintain a constant population size would exceed the number of stars in the visible universe by ten orders of magnitude. Due to deleterious mutations, couples in every generation must have just over two children, on average, to maintain the same population size. In fact, for the past 200,000 years, maintenance fertility rates have stayed between 2.1 to 3.0 children per couple. As a result, the global population was nearly static until the 19th century, at which point infant mortality rates dropped, and fertility rates surpassed replacement levels.